Martin Parr was born in Epsom, Surrey, UK, in 1952. He studied photography at Manchester Polytechnic, from 1970 to 1973, and since that time, has worked on numerous photographic projects. He has developed an international reputation for his innovative imagery, his oblique approach to social documentary, and his input to photographic culture within the UK and abroad. In 1994 he became a full member of Magnum. Parr developed an interest in filmmaking, and has started to use his photography within different genres, such as fashion and advertising. In 2002 Barbican Art Gallery and the National Media Museum initiated a large retrospective of Martin Parr’s work, resulting in an exhibition that toured Europe for the next 5 years. Parr was Professor of Photography at The University of Wales from 2004 to 2012, Guest Artistic Director for Les Rencontres d’Arles in 2004, awarded the Erich Salomon Prize in 2006 with the resulting Assorted Cocktail show opened at Photokina, and in 2008 Parr was guest curator at New York Photo Festival, curating the New Typologies exhibition. Parrworld opened at Haus de Kunst, Munich, in 2008. That same year Parr won the Baume & Mercier award at PHotoEspaña in recognition of his professional career and contributions to contemporary photography. He curated the Brighton Photo Biennial in October 2010, and 2013, Parr was appointed visiting Professor of Photography at the University of Ulster, Northern Ireland. In Spring 2015 Aperture published The Chinese Photobook, a book about the history of Chinese photo books. In March 2016 Strange and Familiar, curated by Parr, opened at the Barbican, London. The show examines how international photographers from 1930s onwards have photographed in the UK. 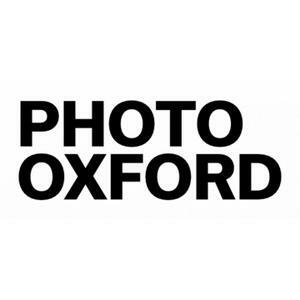 He was awarded the Sony World Photography Award for Outstanding Contribution to Photography in April 2017, and is now completing his book on Oxford University as well as a monograph on his Scottish work, both to be published in Autumn 2017. In total, Parr has published over 90 books of his own work and edited another 30. Alona Pardo is Curator at Barbican Art Gallery, London where she specialises in film and photography. She has curated a number of critically acclaimed exhibitions and publications including most recently Richard Mosse: Incoming (2017); Strange and Familiar: Britain as Revealed by International Photographers (2016) with Martin Parr and Constructing Worlds: Photography and Architecture in the Modern Age (2014). She is currently working on an exhibition to open in February 2018 titled Another Kind of Life: Photography on the Margins that celebrates and explores photography’s enduring relationship with communities and individuals who operate on the margins of society. Past projects also include Eddie Peake: The Forever Loop (2015); Roman Signer: Slow Movement (2015); Leandro Erlich: Dalston House (2013); and Damián Ortega: The Independent (2010), amongst numerous others. She regularly contributes to art magazines and books, including most recently Vitamin P3 (Phaidon Press, 2016) and Modern Forms: A Subjective Atlas of 20th-Century Architecture by Nicolas Grospierre (Prestel Publishing, 2016). Emma Bowkett is Director of Photography at the Financial Times, FT Weekend Magazine. Joining in 2009, she was integral to the small creative team who reworked the visual language of the magazine ready for the 2010 re-launch. More recently she was Director of Photography on the AW16 issue of PORT, a biannual style magazine. She is also a visiting university lecturer, and regularly participates at international portfolio reviews, festivals, art fairs and awards, including at Unseen, Paul Huf Award and The Kraszner-Krausz Foundation Book Award. She has been a Master at both FOAM and FABRICA’s Masterclasses, and is part of Magnum Photos Professional Practice, which supports young and emerging photographers. In 2015 she won the inaugural Firecracker Contributors Award, which recognises women who have had a substantial impact on the photography industry and is voted for by professional photographers. This year she will mentor a chosen female artist as part of The Women In Photography (WIPNYC) Grant & Mentor Program. Bowkett is the co-curator for a Financial Times special supplement and day of events as part of Photo London and she will also co-curate an exhibition as part of the Triennial of Photography Hamburg in 2018. Tim Clark is Editor in Chief and Director at 1000 Words, nominated in the Photography Magazine of the Year category at the Lucie Awards 2016. Previously Associate Curator at Media Space, The Science Museum in London, exhibitions he worked on included Julia Margaret Cameron: Influence and Intimacy (2015) and Gathered Leaves: Photographs by Alec Soth (2016), a major, mid-career touring retrospective. He has also curated exhibitions independently, most recently Peter Watkins: The Unforgetting at Webber Gallery (2017) and Rebecoming: The Other European Travellers at Flowers Gallery (2014), featuring Tereza Zelenkova, Virgilio Ferreira, Lucy Levene and Henrik Malmstrom. His writing has appeared in FOAM, TIME Lightbox, The Telegraph, The Sunday Times, Photoworks and The British Journal of Photography, as well as in exhibition catalogues and photobooks. Clark is a member of the academy of nominators for The Deutsche Börse Photography Foundation Prize, MACK First Book Award and has judged The Paul Huf Award, Sony World Photography Awards and Magnum Photos/Photo London Graduate Photographers Award. He is also a visiting lecturer at NABA, Nuova Accademia di Belle Arti Milano and currently working as the Guest Curator of Photo Oxford 2017, together with Greg Hobson. Working as Curator of Photographs at the National Media Museum in Bradford and Media Space in London between 1983 and 2016, Greg Hobson has over 30 years experience in photography exhibition curation and collection development, across a range of venues and platforms nationally and internationally. He commissions, curates and delivers photography exhibition and publication projects that span the history of photography, with a particular focus on the work of contemporary practitioners. 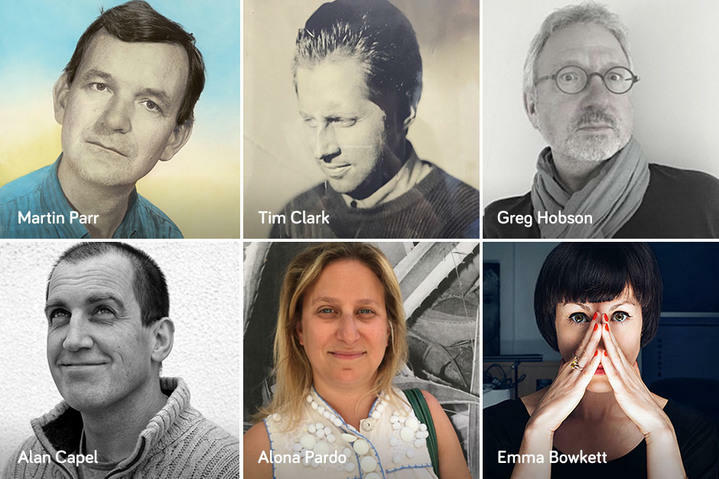 He has actively and visibly supported emerging talent and is known for his collaborative practice, working in partnership with other curators, galleries, museums, academic institutions and artists to grow and strengthen the projects he has initiates and delivers. Recent exhibitions include Only in England - Tony Ray Jones and Martin Parr (2013), Stranger then Fiction: Joan Fontcuberta (2014), Revelations: Experiments in Photography (2015), and William Henry Fox Talbot: Dawn of the Photograph (2016), all for Media Space in London. Since August 2016 Greg has been working as a freelance photography curator. Current and recent projects include curating People, Places and Things: Photographs from the WW Winter archive for FORMAT International Photography Festival 2017, guest curation of Photo Oxford 2017 with Tim Clark, working with artist Mat Collishaw on Thresholds, a VR reconstruction of William Henry Fox Talbot’s 1839 exhibition of his photogenic drawings for the Birmingham meeting of the British Association (which premiered at Photo London in May 2017) and curating an exhibition examining British landscape photography with the Towner Art Gallery, Eastbourne, opening in September 2017. Alan Capel has worked in the Picture Industry for over 25 years. Whilst working as a freelance cartoonist he stumbled across the world of stock and, except for a brief sojourn trying to sell expensive photographic art on the internet, has been here ever since. Alan started as a picture researcher at Tony Stone Images and managed the physical library in the days before digital. He then focused on the sophisticated keywording approach implemented by Getty Images that underpinned the shift from analogue to digital. Alan joined Alamy shortly after its inception in 2000 and as Head of Content is responsible for Alamy’s images and the recruitment and management of the contributors who provide them. The site has over 100 Million stock, fine art, news and historical pictures from over 60,000 photographers and over 600 picture agencies and collections. He developed Alamy’s strategy for social media and is responsible for their mobile phone app ‘Stockimo’. He is a regular speaker and panellist at photography industry events. He is a past board member of PACA (now DMLA) and has served on the advisory boards of the YPA and Photocrowd. He is a published photographer, but much prefers drawing to taking pictures and has co-authored four cartoon books.